The cutting sprue bushing enables feeding plastic components near the centre of the mould, virtually eliminating cold runners into a runnerless cold feed and trimming the gate as the mould opens. This removes the need for secondary operation. 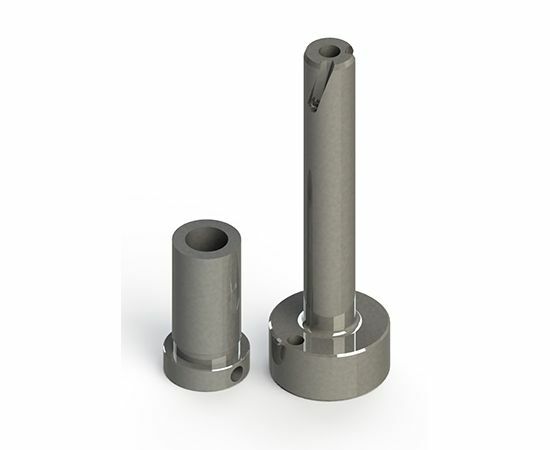 This cutting sprue bushing gives another economical and reliable solution to feeding plastic components in an edge gate configuration, as the cutting pin range now provides. Another benefit of the cutting sprue bushing is that it provides a large edge gate area to reduce injection pressure, improving the packing and quality of the final plastic product. DMS UK sells the Almo range of cutting products for rapid delivery.